Ralph Savarese and his wife Emily never intended to have children, but when Emily, an inclusion specialist for disabled children, met D.J. their family was forever changed. 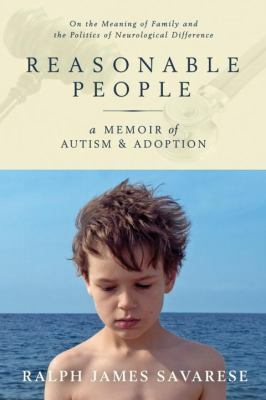 This memoir is new father and English professor, Ralph Savarese’s, account of adopting a traumatized non-verbal autistic boy and the challenges they overcame together, including teaching D.J. to communicate. D.J. entered the Savarese’s lives in small doses, but there was an immediate connection between D.J. and his would-be father. However, it would be years before the drudgery of bureaucracy would allow the boy and his family to become legally bound, and many more years after that before D.J. would begin to heal from the physical and mental pains he experienced in foster care. For parents, and especially educators, or even those who just want to better understand autism, this book will keep you glued to its pages. As a former behavioral aide to children just like D.J., my heart was wrenched by D.J.’s story. It is a painful story of both physical and sexual abuse, but it is also a story of hope, inspiration, and love. D.J., a poet like his father, and a political activist wants autistic children to be literate and challenged, and he is a proponent of the controversial facilitated communication technique he uses to communicate. It is scary to think that kids like D.J. are left to perish with no skills to communicate in institutions every day in our country. Read this book, and be more than reasonable. Be a person who knows better. Ian Stewart is one of my favorite science writers. He teaches mathematics at the University of Warwick, England. This book is a collection of author’s articles from Mathematical Explorations column of Scientific American. There are 21 chapters filled with fascinating stories and intriguing puzzles. Most chapters stand alone; you can pick and choose which puzzle or problem fancies you the most. At the end of each chapter, Stewart lists books and articles for further readings and web sites for more information. I found lots of wonderful web sites that are educational and fun. Several chapters also investigate time travel and the shape of a teardrop. Did you know that the shapes of teardrops are not tear-drop shaped at all? Start on these chapters if you are into physics as well. If you love a probability challenge, begin with Chapter 12. This is a “hands-on” book. High school math? Good enough! You’ll want to have pencils and scrape papers ready to try out the probabilities of totals of two dice. With a thin card, a glue stick and a pair of scissors, you can make a sphericon. Find a friend and a piece of soft, smooth string (3 feet long), you are on your way to meet the Cat’s Cradle Calculus Challenge. I highly recommend this book if you are a fan of math and/or physics. Look up The magical maze and How to cut a cake by Stewart, too. You won’t be disappointed. 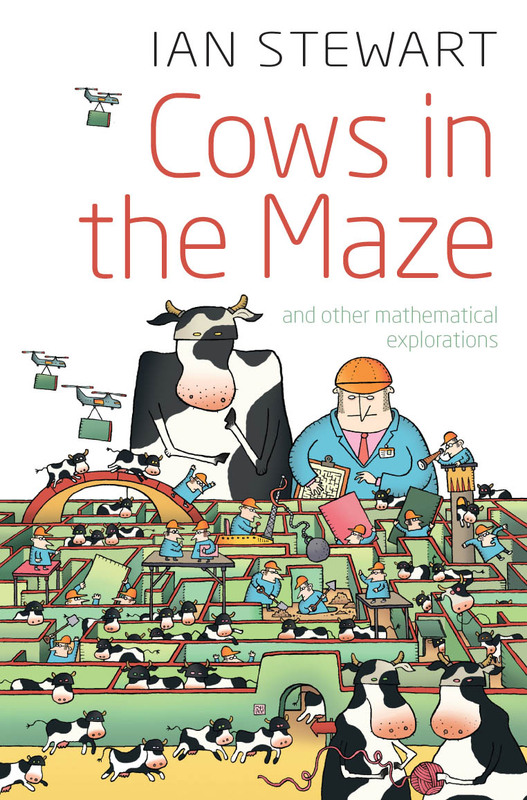 Wait, I just heard cows moo in the maze;-). 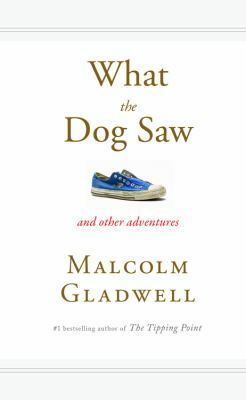 What the Dog Saw and Other Stories is a collection of articles that Gladwell had originally published in The New Yorker. The book is broken down into three distinct sections: Pt. 1 Obsessives, pioneers, and other varieties of minor genius; Pt. 2 Theories, predictions and diagnoses; Pt. 3 Personality, character and intelligence – with related articles under each heading. I’m a fan of Gladwell in general and I liked this collection overall (primarily part 1), but some of the stories just didn’t hold my interest (things about Enron and stock trading… not my cup of tea). I did choose to listen to the audiobook and Gladwell reads it himself which was nice but I think it might have been Gladwell overload. I’d recommend picking this up if you’re a fan of his work and appreciate articles about things and issues you don’t normally think about. Things like getting an inside look at “dog whisperer” Cesar Milan, learning about Ron Popeil (the man who paved the way for all those late-night kitchen infomercials), and learning more about the inventor of the birth control pill. We have a number of Gladwell’s books here in the library – you should check them out! Angie BK · Fiction · Mystery · Quick Read! 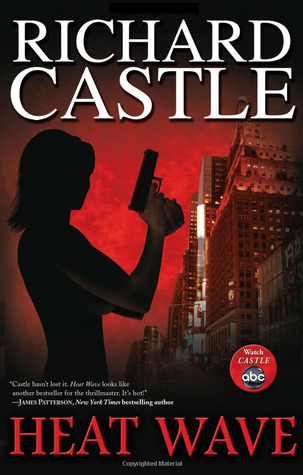 As a loyal fan to the ABC series, Castle, I decided to go ahead and read Heat Wave by Richard Castle. Nikki Heat is an NYPD detective who is fortunate, or rather unfortunate, to have Jameson Rook, a famous journalist, follow her in her daily work life for a story. The novel focuses on the high-profile murder of a real-estate mogul, which Heat is assigned to investigate. Of course, Rook tags along on the investigation and often gets in the way. The novel covers the ups and downs of the case and the romantic interludes between Heat and Jameson. Overall, I would have to say that the novel is a quick and easy read. Additionally, it is easy to see how the characters in the TV series are mimicked by the characters in the book. After reading the novel, it made me anxious for the Castle season premiere, which is on September 19! There was a recent issue of Booklist that had a special section on kid’s horror books. 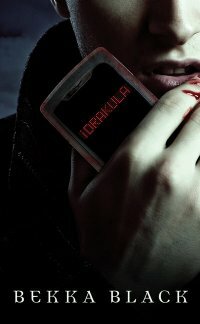 One that caught my eye was iDrakula. It is a retelling of the Bram Stoker novel all told through e-mail, text messages, and web sites. I actually checked it out for my son but it is more of a young adult version – I read it in about an hour but was thoroughly entertained the entire time. It is a clever little book and funny to think how novels that used letters to tell a story will now have to use the new social media. How about a whole novel in Tweets! 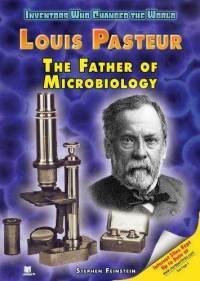 This is a biography of the famous scientist and inventor, Louis Pasteur. I read this book with my kids and we had interesting discussions. They earned minutes to play online games and I got to write a review for our blog! The book gave accounts of Pasteur’s life from birth to death and highlighted his various accomplishments. His research and discoveries helped tremendously in the field of medicine. The author presented many medical history stories and facts. I especially loved that content! But let’s talk about alcohol. . . We all know pasteurization was named after Pasteur, but did you know it resulted from a request in 1863 by Emperor Napoleon III, the ruler of France? Winemakers were reporting their wine was often spoiled for unknown reasons. Pasteur took on the challenge. He spent the next three summers working to save France’s most important industry. He invented the method of killing bacteria in liquid: pasteurization. Another interesting fact that relates to alcohol is that Pasteur studied the fermentation of beet-root alcohol. He presented a paper with ideas that came to be known as the germ theory of fermentation. He was the first scientist to grasp the connections between biology, chemistry, and medicine. I really enjoyed this book. If you only remember a few of Pasteur’s major discoveries, it’s time to get to know him better. 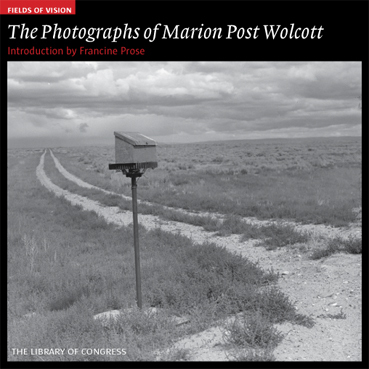 Even though you may not know the name Marion Post Wolcott, you undoubtedly know her work. I saw an article somewhere that talked about Wolcott and it showed one of her photographs. Something about her made me want to learn more. I wanted to see what kind of photographs she took when working for the Farm Security Administration during the 1930s and 40s. Even though this book only offered a little biographical information (provided in the introduction by Francine Prose), it was enough to provide a good basic overview of who she was, how she came to take the photographs that she did, and why it is so few people seem to know her name, despite having some very well-known photographs. This was a small book, published by the Library of Congress, highlighting 50 of Wolcott’s photographs. She does an amazing job capturing the diverse (and, arguably, divisive) nature of our country during the 30s and 40s. It’s amazing how much can be captured in a single photograph. I think this was a good gateway book because it got me interested in the FSA – Office of War Information collection of photographs (documenting life in America from the Depression to WWII), it made me want to learn more about Wolcott specifically, and it got me thinking about the WPA… So there are a lot of different directions I could take this. But I guess it says a lot about Wolcott’s work that my mind’s going in all these different directions.